I got a chance to talk to the one and only Norman Hollyn. 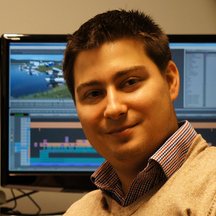 Norman is a professor of Cinematic Arts at USC and travels all around the world as an editing educator. Basically Norman is living my dream. You can listen to our conversation below. In it we talk about his time teaching in Japan and all across the globe, how students of film and their editing styles differ from one country to another, how to manipulate your audience’s emotions and much, much more.